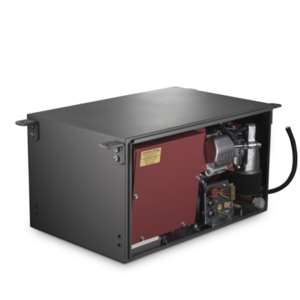 This 2.0 kW petrol generator offers you 230 V AC whenever mains power is unavailable. Compact in size and relatively lightweight, it provides reliable and economical operation. 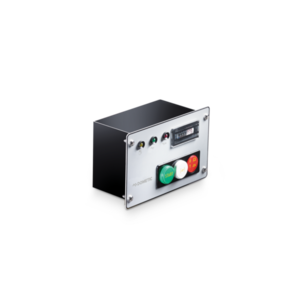 Its 2000 W continuous output is capable of supplying several electrical devices at the same time. 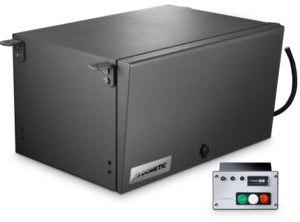 Dometic T-series generators give you a high continuous output rating, which makes them suitable as a power source for Dometic air conditioners. Their robust stainless steel housing is sound dampened for quiet operation. 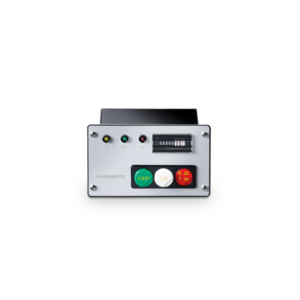 The reliable power packs are supplied complete with remote control and fixing materials for hassle-free installation. Dometic T 2500H is an unleaded petrol generator for 230 V AC. 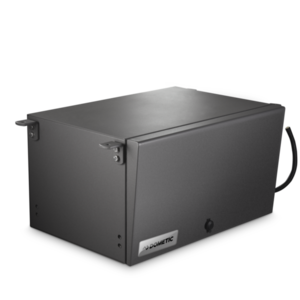 The well proven, reliable powerpack comes with a robust stainless steel cabinet. Compact in size and amazingly lightweight, it provides 2000 W on a continuous basis – fine for supplying several electrical devices at the same time. Additionally, it features a 12 V output for battery charging (at 10 A max.) and a remote control panel to be fitted in the passenger compartment. Petrol tanks, exhaust extensions and silencers are available as accessories.